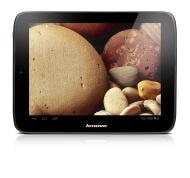 alaTest has collected and analyzed 27 reviews of Lenovo IdeaTab S2109. The average rating for this product is 3.7/5, compared to an average rating of 4.3/5 for other products in the same category for all reviews. Reviewers really like the usability and durability. The design and performance also get good comments. There are some less positive views about the battery, while opinions about the reliability and screen are different. We analyzed user and expert ratings, product age and more factors. Compared to other products in the same category the Lenovo IdeaTab S2109 is awarded an overall alaScore™ of 84/100 = Very good quality. It's entirely usable and functional, but for $300 to $400, you can do better. The Lenovo IdeaTab S2109 offers a clean build of Ice Cream Sandwich in a light and comfortable package, but its sluggish performance and short battery life dampen our enthusiasm. The Lenovo IdeaTab S2109 is an Android tablet with low-end specs, but a midrange price tag, making it a hard sell when compared with some less-expensive and better-equipped alternatives. Android 4.0. Solid build quality. Loud speakers. Aging components. Middling performance. Odd screen aspect ratio for Android. Too expensive for what you get. This thin, light, and attractive Android slate performs well and has superb four-speaker SRS sound. Considering its somewhat outdated dual-core processor and poor battery life, though, it's a bit overpriced. Watch for it on sale.